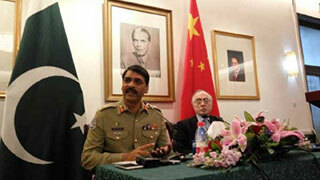 The Pakistani Army is committed to provide security to the CPEC and the military has taken special measures in this regard, a senior Army officer said Thursday. 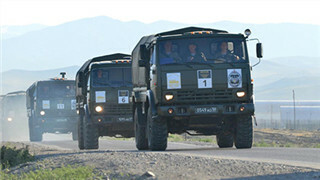 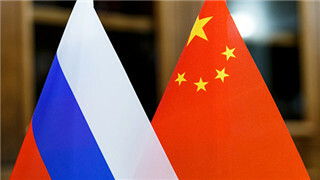 In accordance with Russian and Chinese defence ministries’ decision, the 2nd Aerospace Security 2017 Russian-Chinese ABM defence computer CPX has kicked off in the Air and Missile Defence Research Institute of the Air Force Academy of the People’s Liberation Army of China, in Beijing. 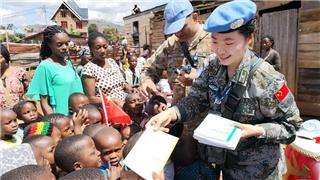 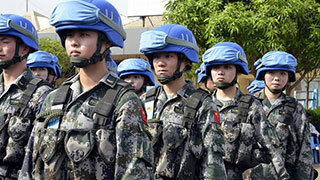 The top UN peacekeeping official has said that China's contribution to peacekeeping is "extremely important," while highly commending the quality of its contingent and equipment. 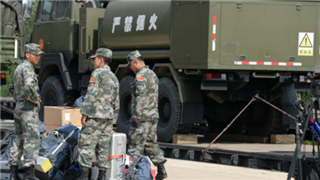 Philippine Defense Secretary Delfin Lorenzana on Wednesday expressed his gratitude to the People's Republic of China for giving the Philippines free weapons and ammunition which it can use in the ongoing battle against Maute Group terrorists in Marawi City. 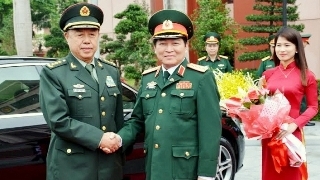 Vietnamese and Chinese high-ranking military officers agreed upon the contents and measures of cooperation in the time ahead to effectively implement the statement on joint vision on defence cooperation until 2025 that was signed in January 2017. 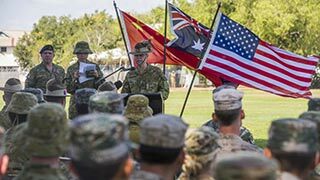 Arleigh Burke-class guided-missile destroyer USS Sterett (DDG 104) arrived in Zhanjiang, China, June 12, 2017, for a scheduled port visit. 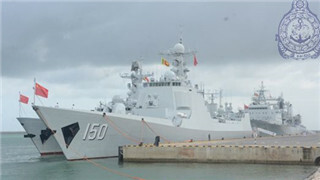 The three Chinese Navy ships that arrived with relief assistance for the flood victims returned home on Saturday (03rd June). 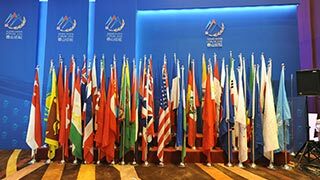 Minister for Defence Ng Eng Hen has brushed aside concerns about China’s level of representation at a premier security forum held in Singapore over the weekend, adding that it was China’s contribution to the discussions that matter. 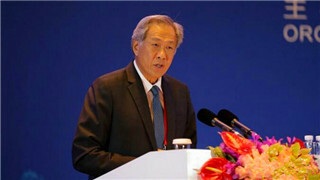 Singapore's Defense Minister Ng Eng Hen said on Friday that China's peaceful development benefits all countries not only in economy but also in security. 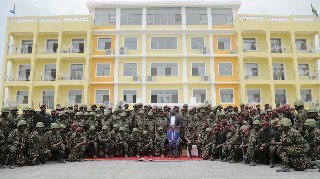 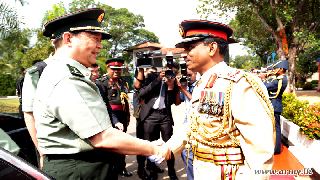 General Chang Wanquan currently in Sri Lanka on an official visit called at the Defence Services Command and Staff College (DSCSC) at Sapugaskanda this morning (21) where several foreign undergraduates are also reading for the ‘psc’ degree course. 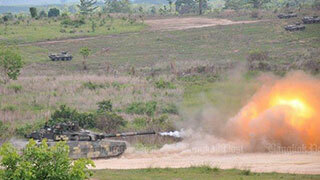 The Royal Thai Army will buy 34 armoured vehicles worth about two billion baht and another 11 VT-4 battle tanks from China, says army commander Chalermchai Sitthisat. 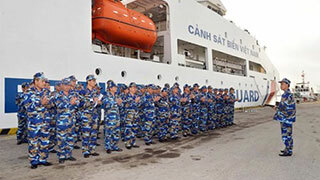 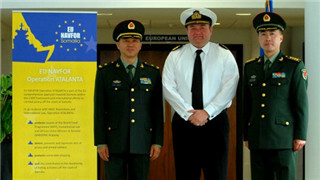 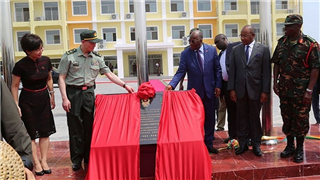 Ship 8004, with a mission of the Vietnam Coast Guard Command on board, led by Lieutenant General Hoang Van Dong, the Command’s Political Commissar, and left the military port of the Coast Guard Region 1 Command for a China visit on May 8. 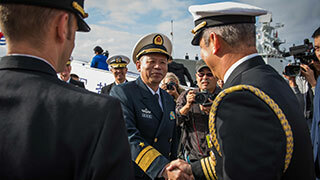 A Chinese naval fleet arrived in Ho Chi Minh City’s International Port on May 6, starting a four-day friendship visit to Vietnam. 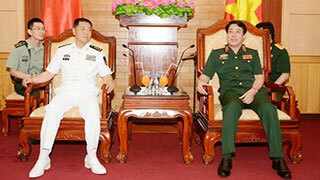 Senior Lieutenant General Luong Cuong, Director of the General Department of Politics of the Vietnam People's Army, welcomed a delegation of the Chinese PLA Navy, led by its Political Commissar, Senior Lieutenant General Miao Hua, on May 5 in Hanoi. 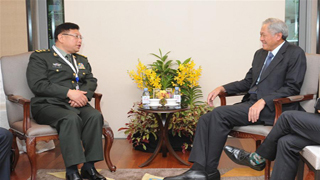 Diplomatic relations and defence directions between Malaysia and China Malaysia have been further enhanced with the setting up of a high-level committee among the two countries. 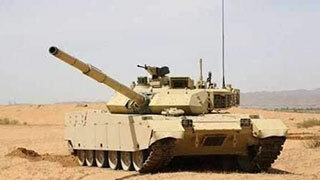 The Thai government decided on Tuesday to buy 10 more VT-4 main battle tanks from China, said Deputy Premier and Defense Minister Prawit Wongsuwan. 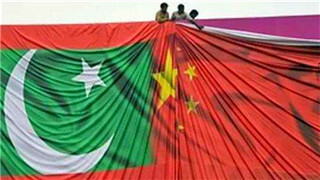 The Pakistani military will provide whatever support is required to ensure the security of the China-Pakistan Economic Corridor, a Pakistani officer said on Tuesday. 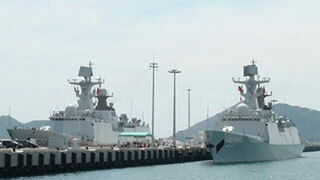 PLA Navy ships, Jiangkai II-class frigates Yancheng (FFG 546) and Daqing (FFG 576), and Fuchi-class oiler Tai Hu (AOR 889), arrived in San Diego as part of a routine port visit, Dec. 6-9. 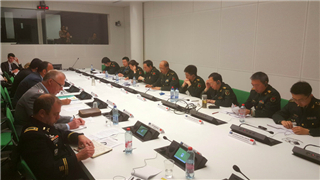 General Zhao Zongqi, commander of the PLA Western Theater Command, visited General Headquarters(GHQ) of the Pakistani Armed Forces on Monday. 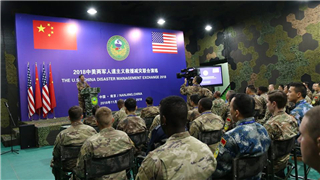 The Singapore Defense Minister Ng Eng Hen said during a panel discussion at the Reagan National Defense Forum on Sunday in California, US, that it is neither possible nor strategically necessary to contain China's rise. 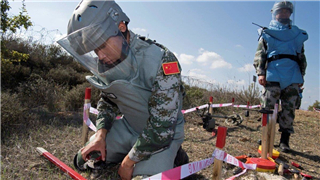 From 14th to 18th of November 2016, the Greek Multinational Peace Support Operations Training Centre (MPSOTC), conducted in Kilkis the "Journalist Protection in Conflict Areas Course". 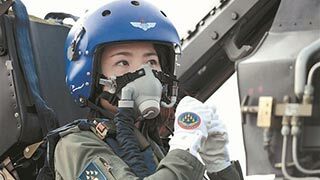 The Red Arrows Aerobatic Team of Britain Royal Air Force expressed their sorrow for the loss of Yu Xu on a social media platform. 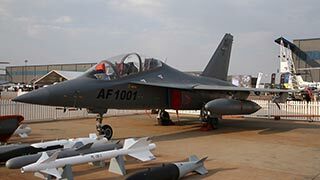 From the Zambia Air Force's point of view, there is no doubt that it hopes to procure more advanced equipment like fighters and other types of aircraft, according to Chimese. 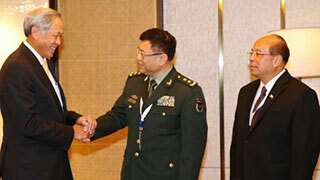 Former Secretary to the Ministry of Defence Gotabaya Rajapaksa was one of the prominent invitees at the 7th Xiangshan Forum, co-hosted by Chinese Association for Military Science and the China Institute for International Strategic Studies. 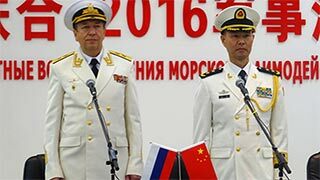 Joint Russian-Chinese exercise "Naval interaction-2016" exercise is held in a milestone year for the Russian Navy, announced Deputy Chief of the Russian Navy Vice-Admiral Alexander Fedotenkov. 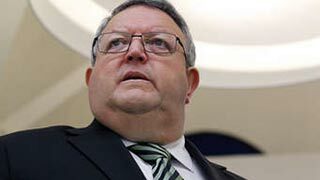 New Zealand will continue to develop security relationship with China, which has seen the two militaries increase cooperation in recent years, Defence Minister Gerry Brownlee said Thursday. 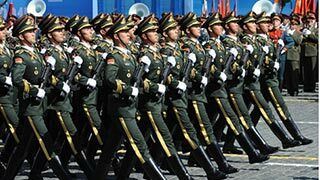 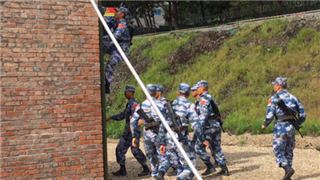 The glorious history of PLA is a long saga of a protracted war of the Chinese Army against imperialist and reactionary forces, said a former chief of Bangladesh Army.